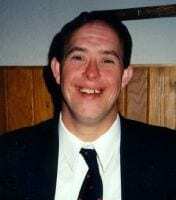 When our cousin Bobby Brush was born to Eleanor Marie James, he was born with down syndrome. Sen. Ted Kennedy arranged for Bobby’s education in programs that evolved from Eunice Shriver’s Special Olympics. Bobby became a Special Olympian himself. Bobby learned to live a near-normal life, even working in a bank. At 48 today, Bobby, has lived far longer and better than expected. Thank you, Eunice Kennedy Shriver.